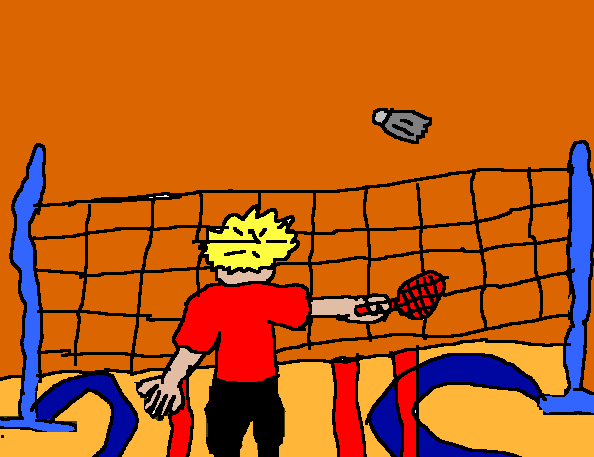 For people who don’t know what badminton is, it is a sport like tennis but it’s a shuttle they play with. Donna who was in charge of badminton came from Sport Auckland and she was going to be our teacher I think! Donna is very famous because she played for the Olympics. After having a play around We played badminton soccer with a friend.Hitting the shuttle with a powerful hit, it flew like a bird to the opposition side. 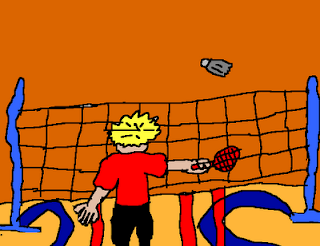 With great hand eye coordination and quick body movements, I served accurately to my partner. I was so excited when Donna told us that we were going to play the real badminton. As I watched the other people they looked frustrated. But when I got in I stayed on for long because no one would hit the shuttle to me so I just waited until I got out, finally I got out. It was spectacular fun I hope I went everyday.